Rio de Janeiro: As the Olympic hoardings are taken down in Rio de Janeiro and the Carnival atmosphere subsides, there is relief that cash-strapped Brazil avoided making a mess of the Games but also a nagging suspicion it did not make the most of them either. Brazil overcame fears over the Zika virus, a painful recession that left government coffers bare, and the suspension of its president just three months before the opening ceremony of the first Games in South America. Two years ago, a senior member of the International Olympic Committee (IOC) warned that Brazil’s preparations were the worst he had ever seen. Yet a last-minute scramble meant that venues and a new metro line to the Olympic Park were ready in time. Security fears, which prompted the deployment of 85,000 police and security for the Games, were also proved wrong – there was no major attacks of the kind seen recently in Europe. Yet in terms of the long-term benefits to residents and the image of Rio to the outside world, the Games could have been so much more. “If we’re content to call the absence of catastrophe an Olympic success, then I suppose it was a success but if that is the case we are setting the bar too low,” said Jules Boykoff, a professor at Pacific University in Oregon and author of a book on the political history of the Games. In 2009, when a triumphant Brazil won the right to host the Games by a landslide at an IOC meeting in Copenhagen, a tearful President Luiz Inacio Lula da Silva said it would seal Brazil’s entry into the club of “first-class” nations. “The world has recognised that the time has come for Brazil!” Lula said, predicting the Games would showcase the nation’s improved governance and booming economic growth. Seven years later, the Games arrived at just the wrong moment for Brazil. Its economy has been ravaged by a commodities collapse while a sweeping corruption scandal has ensnared the construction companies building infrastructure for the Games and swept Lula’s leftist Workers Party from power. The run-up to the Games, an unrivalled moment to showcase Brazil’s most picturesque city, was dominated instead by headlines over the impeachment of Lula’s successor, Dilma Rousseff, the spread of Zika, and resurgent crime levels in the city’s slums due to rising unemployment and under-funded police. The enduring images of the Games will be not just the great sporting achievements – from U.S. swimmer Michael Phelps’ 28th Olympic medal to Usain Bolt’s historic sprint ‘triple triple’ – but also the organizational problems, empty seats and crime. Locals’ angry reaction to US swimmer Ryan Lochte, who made up a story about being robbed at gunpoint, was partly due to the knowledge their nation was being tarnished internationally. “The country put its image at risk in bidding for the Games and the risk did not work out because it became brutally obvious Brazil has not resolved its problems,” said Christopher Gaffney, an Olympic expert and geographer at the University of Zurich who lived in Rio until last year. The spirit of discontent among some residents was represented by an ice sculpture on Rio’s seafront boulevard spelling out “legado” – “legacy” in Portuguese. In the heat of the tropical sun, it quickly melted away. Rio’s outspoken mayor, Eduardo Paes, accepts that, while progress was made, the Games fell far short of their original target in terms of tackling environmental issues like water pollution. Roughly half the city’s sewage still flows untreated into Guanabara bay. A Reuters study showed that pledges on reducing air pollution were also missed. Campaigners railed against the relocation of tens of thousands of people to build infrastructure for the Games. The decision to focus new transportation routes on the wealthier Western districts, where the Olympic Park was built, meant they would do little to curb the long daily commutes of the poor from Rio’s sprawling northern slums. 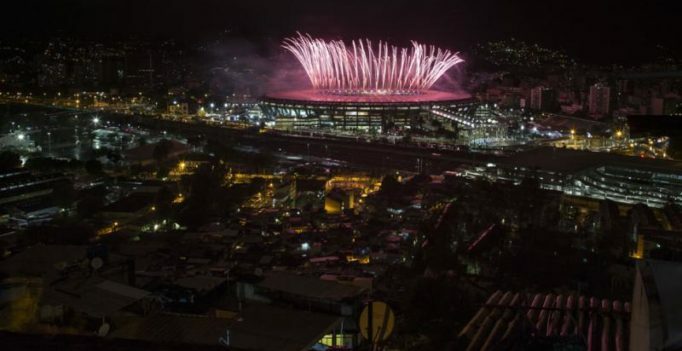 The sight of the Maracana stadium brightly illuminated for the closing ceremony while a power cut plunged neighbouring streets into darkness epitomised the lopsided benefits of the games. Local media has reported that electricity tariffs will need to be raised to cover the cost of lighting the Games. One major uncertainty for Brazilians is the size of the final bill for the Games, in the midst of the country’s deepest economic recession since the 1930s. The government has already said it will need to put in more public money to balance the books, yet it is resisting calls to make the Games’ accounts public. 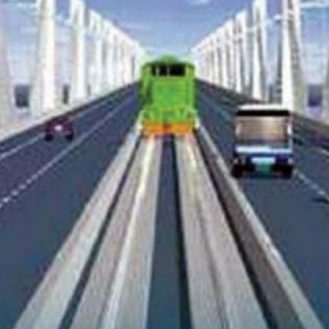 Many observers expect the official $12 billion price tag to be exceeded. For many in Brazil, the Games will be remembered as a success for one moment – when footballer Neymar clinched the gold medal with the final penalty of the match against Germany. Yet residents like Luciana Cabral, a 25-year-old advertising student, said the Games appeared to have done little to improve the everyday life of ordinary people in Rio. Soon after the firing from the Indian side took place, sources said residents in the neighbouring villages of Poonch witnessed smoke emanating from the site….